Among the earliest extant albums by Swiss musician and philosopher Nik Bärtsch, Hishiryo is described by the artist as an ongoing project for prepared piano and percussion that first manifested itself in 2001 and was recorded for release on the Tonus label in January 2002. Like much of his oeuvre, each of its eight episodes is titled with the word "Modul," which is German for "Module." This is the artist's preferred designation for his steadily increasing body of works. Whether conceiving for soloist or ensemble, Bärtsch's way of putting musical ideas together tends toward what he describes as "architecturally organized space...governed by the principles of repetition and reduction as well as by interlocking rhythms." Some of the modules visited on this album are ruminative, while others are bracingly propulsive, with Bärtsch employing a technique that brings to mind the breathtaking intensities employed by the Algerian pianist/drummer/bandleader Raphaël Schecroun (1926-1998), who made most of his records under the name Errol Parker. "Hishiryo" is a Zen Buddhist term definable as the state in which one transcends thought so as to merge with the absolute. 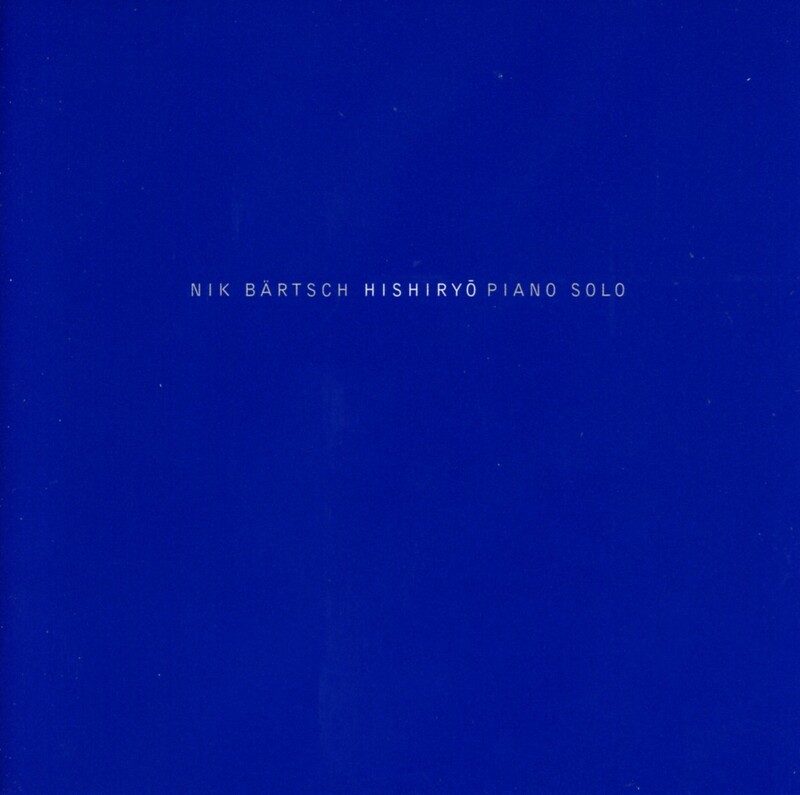 Its usage here confirms Bärtsch's profound alignment with the philosophy of John Cage (who was the originator of the prepared piano as an art form), and also indicates a deeply rooted organic solidarity with intuitive musicians such as Muhal Richard Abrams, Anthony Braxton, Ishmael Wadada Leo Smith, and Pauline Oliveros. Further parallels can and should be drawn with Harry Partch, Ornette Coleman, Karlheinz Stockhausen, and self-described "transboundary sound and visual artist" Yoshio Machida. This marvelous set of rituals for prepared piano and percussion is the ideal prologue to Bärtsch's subsequent ensemble realizations. It is highly recommended for window washing, floor scrubbing, white sage smudging, and any other methodology used to straighten out the vibe in one's living space. For less active listening, try it after adding a few drops of eucalyptus oil to your bathwater.